Lismore GP Super Clinic has a Zero Tolerance Policy towards verbal and/or physical abuse therefore any patient/carer who breaches this policy will not be offered another appointment at the Clinic. Please phone our friendly reception staff for an appointment. If your regular doctor is unavailable, an alternate doctor will be offered. We recommend you book your appointments in advance however, there are a limited number of appointments available for patients who need to be seen "on the day" for an urgent singular ailment - please phone for these appointments from 7.30am. If you wish to book an "Insurance Medical" or have a complex issue (one only) to discuss with the Doctor please ask the reception to book a longer appointment, however a longer appointment will not proceed if the booking is for the purpose of multiple medical issues which should and can be dealt with separately. Please advise the receptionist if there are family members who also require an appointment which are also to be dealt with separately. All Driving Medical's require a recent eye test result from your Optician before the doctor will complete your driving form. Walk in's are accepted & triaged. Patients who fail to attend an appointment without notifying the Clinic will incur a fee and can result in appointments being denied in the future. Should unavoidable circumstances arise, please contact the Clinic to either cancel or rearrange your appointment. This clinic has available on request an Interpreter service, please enquire at reception. Our policy states that your Medical Results are best discussed with the referring doctor therefore if your doctor refers you to have further investigations please arrange for a follow-up appointment. Our clinic will endeavour to contact the patient for significant test results however, patients have the responsibility to phone for follow up if the clinic has not contacted you after 3 days post your investigation. 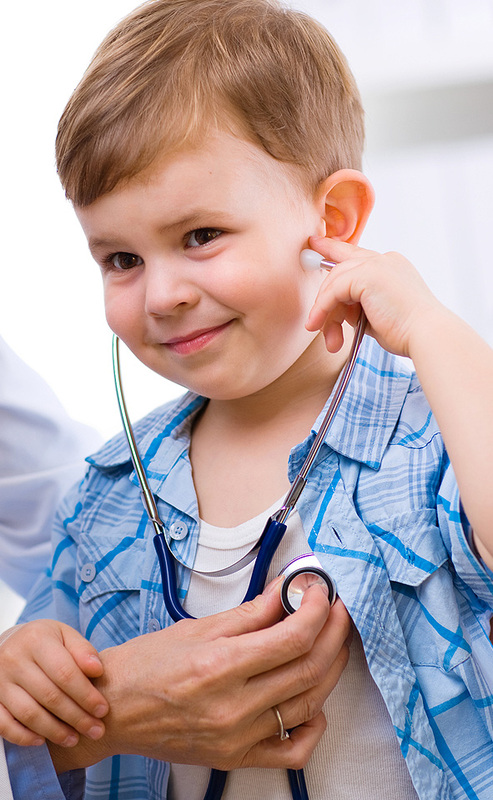 Our practice is committed to provide affordable health care to its patients. The Clinic undertakes both private billing and bulk billing practises (bulk billing offered to all qualifying patients). Post your consultation, please report to reception before you leave. For the Clinic to continue to provide exceptional medical care and patient service, your feedback is appreciated and welcomed. All service review requests are attended to confidentially by Management as per Clinic policy with performance improving processes readily implemented from patient feedback. In order to provide you with health care services, we need to collect, use and disclose your personal information, however only as permitted or authorised. As an organisation, our principal concern will always be the health of patients who visit our clinic. No exceptions under the Privacy Act apply to personal information that we hold or to any of our acts or practices. Patients can access their personal information by either discussion with their doctor or by completing a Request for Information form available at reception. Third party requests are processed by the Practice Privacy Officer as per policy and procedure fees may apply. Our clinic is committed to attend to all patient requests and although most problems are best dealt with in consultation, a doctor will always be available during normal clinic hours for emergency advice. Our experienced staff will assist you in deciding whether the matter requires an appointment, a return phone call from the practice or urgent advice. Home visits are available at the discretion of the attending doctor. If you require a home visit, please book with our friendly reception staff subject to availability and eligibility criteria. The Clinic's hours are stated above and may vary from time to time or on Public Holidays. If you require immediate urgent medical assistance outside these hours, please contact the Lismore Base Hospital on 6621 8000. Lismore GP Super Clinic provides an on call medical care service for urgent after hours medical care available to Clinic patients. Please phone the Clinic's phone number on 6624 1411 for instructions to access this private service. Lismore GP Super Clinic acknowledges the assistance of the Australian Government in providing Capital Funding for development works under the GP Super Clinics Program. We pay our respect to the Widjabul Clan of The Bundjalung Nation Who's Land On Which We Stand & To Elders Past and Present In Forging a Pathway To Health & Healing Together. Providing the highest levels of knowledgeable, compassionate and affordable medical services. Lismore GP Super Clinic has been designed to meet the unique healthcare demands of the Greater Lismore and Goonellabah communities.